Do I Need a Philadelphia Locksmith? Locks are a simplistic, yet beautiful mechanism that’s so commonplace, they’re hardly appreciated anymore. The many turning pieces that all click, consecutively, together is a wonder of the mechanical genius of man as locks are on of the oldest pieces of human invention and civilization, aside from basic pulleys. But we certainly do take locks for granted now, and we expect them to protect us, our valuable belongings and so much more without much in the way of proper care. In fact, as Philadelphia’s top locksmith, we can attest to the fact that you all don’t take as great of care of your locks as you should be. But that’s okay, because we’re here to enlighten you about how to keep your locks and all of their tiny, perfectly working mechanisms ticking away flawlessly and keeping the things that are important to you under lock and key whenever you need them to be. Keeping your locks up-to-date and secure is one of the most important parts of being a responsible adult. Don’t think it’s worth it to keep your locks well-equipped? Do you believe in taking proper precautions with your security? 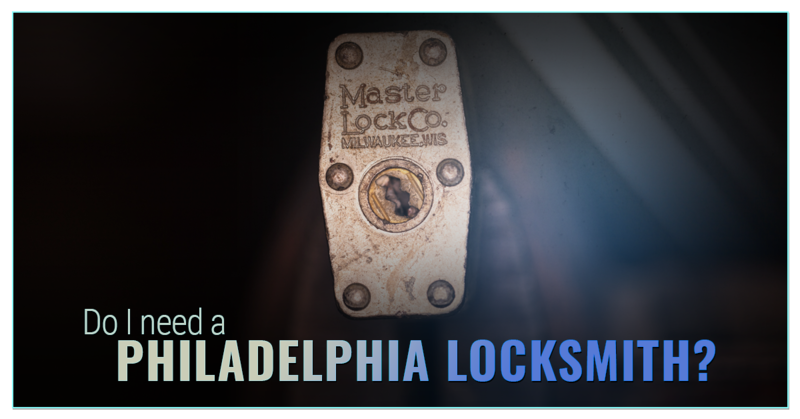 If you’re attempting to protect your business in Philadelphia, specifically, you’ll need commercial locksmith services that are up-to-date and creative, but you’ll also need a viable return on that investment. The odd part is that the most effective types of security will seem effortless to most people simply because you won’t be dealing with any break-ins. When helping you justify a brand new business expense, we like to start from the bottom up. The only way to really understand the return on your security system is to understand what each individual measure prevents. If you purchase a lock that can’t be picked, your return is not getting your locks picked. Every precaution you take that renders you invincible to a certain type of vulnerability is a return on your investment. For example, if you were to ponder what your return on a new speaker set would be in the same way that you should calculate your ROI on a lock system, you’d ponder how many hours of usage you’ve gotten out of the speaker system for the past five years that you’ve had it. It’s not necessarily dollars and cents, it’s more about the value of prevention. A great equivalent is a car’s safety system. How much money is an airbag that saved your life in a car collision worth? Probably more than the initial airbag cost, or how much even the car cost. When you’re asking yourself who much to spend on security, you may want to ask yourself “how safe do I want to be?” The answer to that question should always be “very safe,” but, as we mentioned previously, there are a couple of ways that security spending can get out of hand. Be realistic about your needs. Are you in a neighborhood that’s on the nicer side of things? You likely won’t need cornea identification at your front door. If you’re merely looking for a way to improve your security and feel a bit safer, you can start by getting the locks changed. This renders all your keys from the time before useless, which is helpful if you’re renting or bought your home used. Many folks think that new home developments don’t get master keys made for their locks, but that’s incorrect. If your home was made any time after the year 2000, it’s likely that the developer had a couple of master keys floating around which are generally harmless, but it’s always recommended to change your locks just to be on the safe side. It’s an inexpensive measure and it can improve your security by ten-fold. As an aside, when you’re calculating what you’re supposed to pay for your security, there’s a number of folks in the professional community that recommend the “10 percent rule.” Essentially, the 10 percent rule dictates that you spend at least 10 percent of the value of the thing you’re protecting. Security updates in most cases count entirely on paying for what you get. So if you’re trying to protect your entire home, the 10 percent rule would imply that you invest in a bit more than the standard lock change. We’d recommend outfitting your home with a variety of residential locksmith goodies that could help protect you and your loved ones from potential burglaries. There are a couple of different types of locks that you could invest in that you could sync up with your regular lock and key lock to make the entire house more secure. Philadelphia’s rate of vehicles stolen on a per year basis is going up. Just last year, the City of Philadelphia recorded around 5000 vehicles stolen. That’s actually a 6 percent increase from previous years, and what’s worse is this a totally preventable. It’s estimated that around 25 percent of the people that get their vehicles stolen have their keys get lost, stolen or even just leave them inside the vehicle. But auto security is boiled down to more than just being a responsible auto owner and keeping your keys nearby. Like a home, a means of transportation is likely one of your main expenses for the month. That’s mainly because you need to have access to a way to get around town, but what if that was just suddenly taken away from you? If you thought the vehicle was expensive initially, you’ll be shocked by how expensive cost to replace and get yourself around town while dealing with the scenario of a stolen car. Only the proper coverage through your car insurance will actually insure that you even have a loaner vehicle to take you around town, or else you’ll be paying for Uber or Lyft rides, potentially bumming rides off coworkers if you’re lucky. Even if you have the car insurance that covers theft, if anything of value was inside at the time of it’s theft, you won’t be getting reimbursed for those items as well as any aftermarket additions to your car will not be compensated for if your vehicle is taken. In fact, even if you manage to get the vehicle back, it’s likely that whatever was inside will be gone and the after market upgrades will be taken as those are much easier to hide and harder to track. Luckily auto security technology has progressed and you can protect your vehicles better than ever before. Start with a quick consultation with your Philadelphia locksmith to get an idea of how to secure your vehicles, including your motorcycles better. We can help you keep your motorcycle locked up with the best locksmith hardware available as well as help you invalidate old key remotes, key fobs, and transponder keys with your onboard computer within your vehicle. If one of your locks is broken or your key fob isn’t working how it used to come and upgrade to a better lock and key for your ignition today. The worth of home security is much like the worth behind that airbag and seatbelt that save your life. They both pose the same questions “how much is your well-being worth to you?” But once you’ve put a figure to your own safety, you can start to factor in the figures associated with all of your possessions like your TVs, books, game stations, computers and combine the total fro, what we’d wager is a rather large sum. Your Philadelphia locksmith is equipped to guide you through improving the safety and security of your locks as well as your home, even if you’re renting an apartment in the area. We can help you burglar proof your windows, improve the security of your front door with more complex locking mechanisms and repair the current locks you have within the home as well. We can even help you re-key and change the locks if you’re looking to start fresh and get rid of any possible dangers from lost keys in other’s possessions. We can even help analyze how to improve the strength of your front door, whether that’s thicker wood on the door jam that holds your locks, or helping you find the locks that can’t be bumped or picked, we’re dedicated to helping however we can. Theft can cause company downtime and a whole slew of other issues that includes attempting to recover your property, trying to figure out if any potentially sensitive material was taken as well as looking into replacement costs for everything that was taken. Having on the ball security for a commercial location is, perhaps, more dire than residential pursuits as they’re actually stealing your ability to make more money away from you if they take the right things. That can be a fatal blow for some businesses. A commercial locksmith can easily help you establish the means to have controlled keys for all your locks so that you don’t have to be concerned about employees stealing from the business after hours. Preserve the physical security of your business with top-notch locksmith expertise to help you with your locks and other security measures. If you believe that an investment in your safety as well as the safety of your livelihood is worth your time and money, reach out to Lockman. We’re backed by superior ratings and years of highly qualified experience that helps us do our job better than the competition. We’re also backed by the best prices in town. Lockman takes pride in our work because we’re excited to help keep you safer and our city as a whole safe on a regular basis. Lock your doors, and keep your keys close by and we’re here to help you do the rest. Reach out to us if you have any questions about our services, prices, or other inquiries.